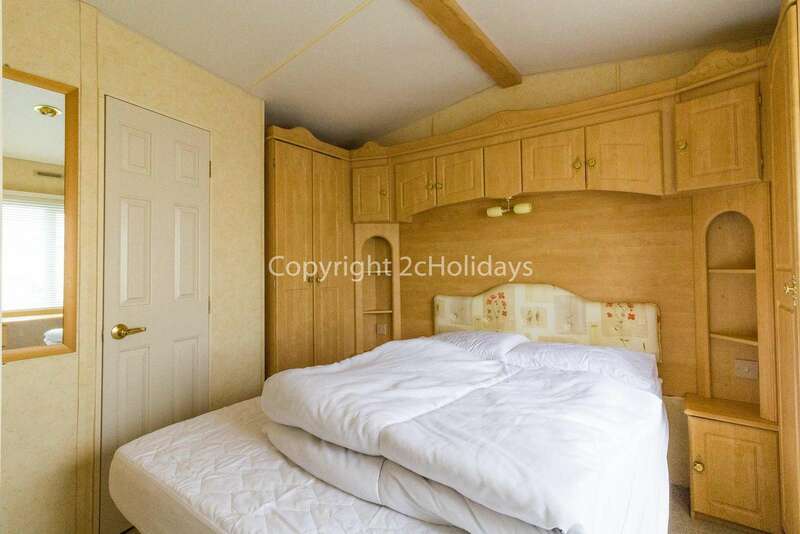 40100 North Denes, 2 Bed, 4 Berth. D/G, C/H. Ruby rated. 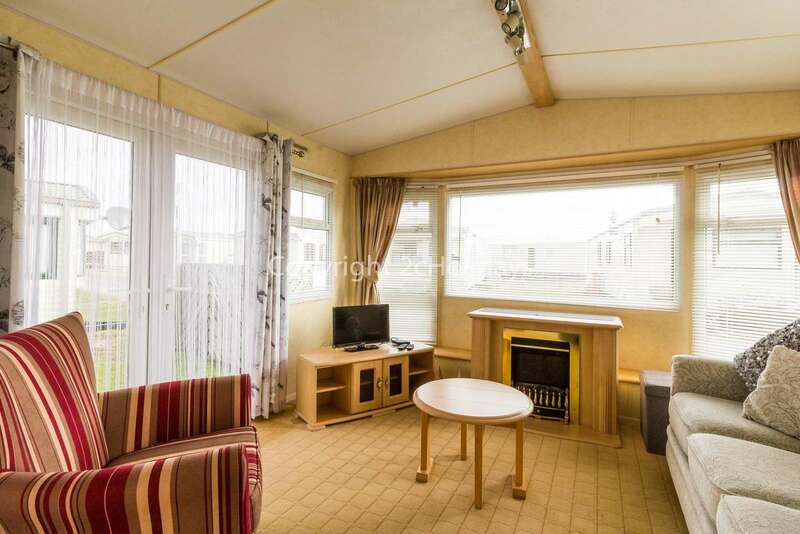 Central heated and double glazed 2 bed 4 berth mobile home. Ruby rated. 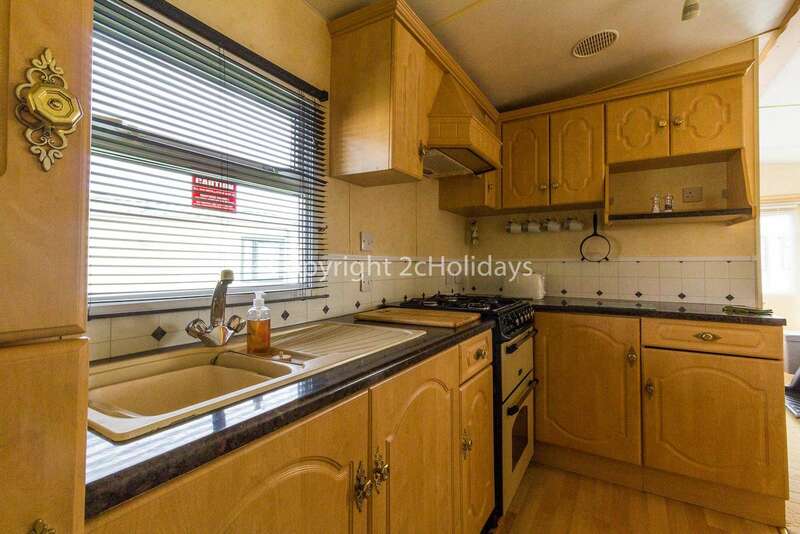 Kitchen with full sized oven/hob with extractor over, full size integrated fridge/freezer and microwave. Washing machine in outside shed. 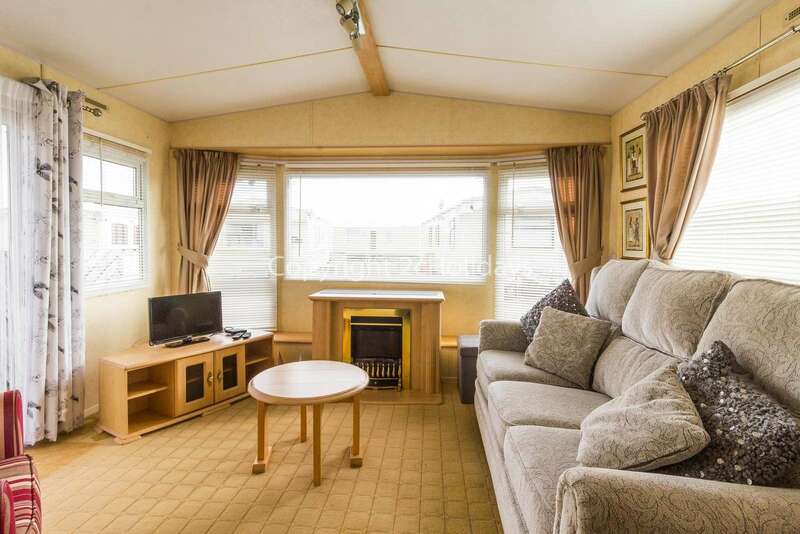 Lounge with TV, DVD player and Freeview. 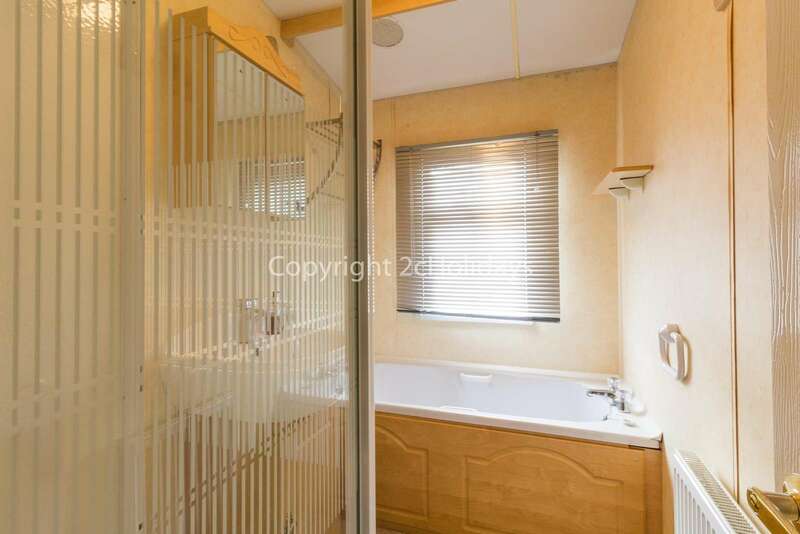 Family shower/bathroom with bath, shower cubicle and wash basin. Separate toilet with wash basin. 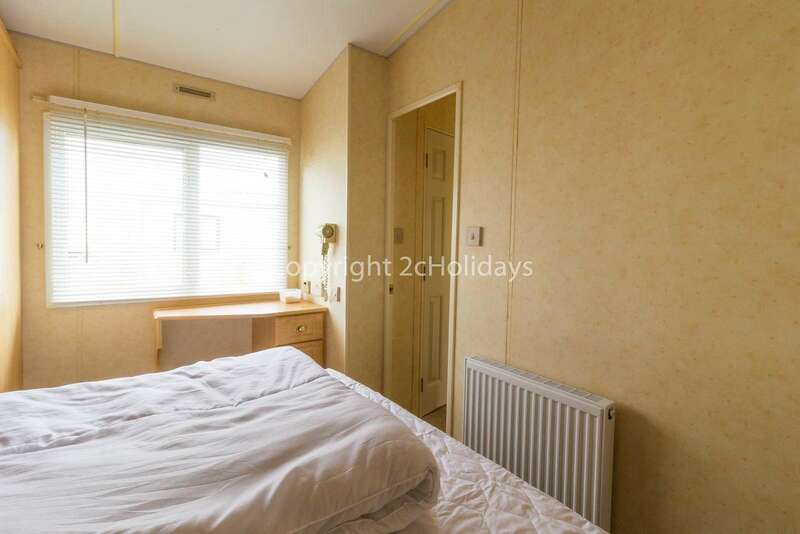 Bedroom 1 - Master with king size bed, storage and en-suite toilet with washbasin. 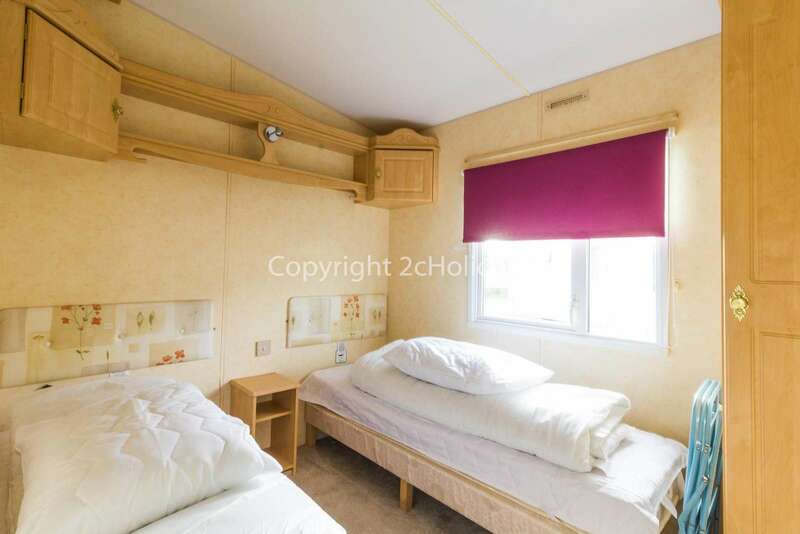 Bedroom 2- Twin with single beds and storage.